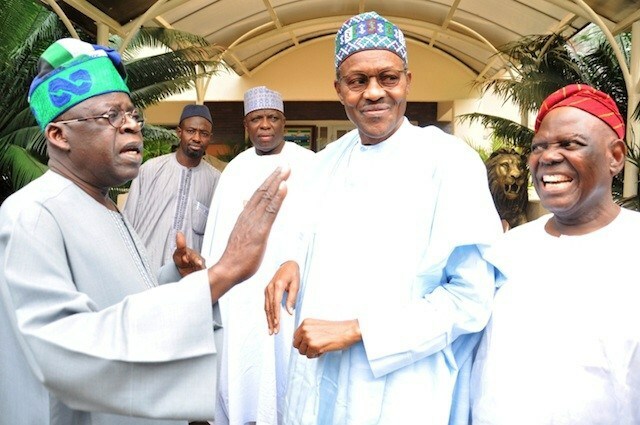 Leave Buhari alone, Tinubu slams critics – Royal Times of Nigeria. 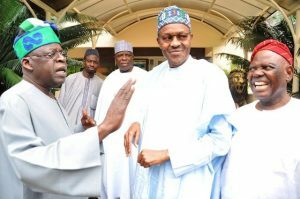 Asiwaju Bola Ahmed Tinubu, a leader of the All Progressives Congress has warned those speculating on President Muhammadu Buhari’s health to stop it. The former Lagos State governor said Buhari who Nigerians overwhelmingly voted for on March 28, 2015, because they believed in his capacity to fix the country, is on a mission – to right many of the nation’s wrongs. He therefore warned that speculations about his health were unnecessary distractions to the President and were meant to pit a section of the country against another. He said the prevailing economic challenges were not of Buhari’s making, adding that the effect of the tumbling oil prices at the international market would not have been so biting had the immediate past administration saved for the rainy day. Tinubu, however, said the Buhari administration has been battling to avoid the pitfall of the past by diversifying the economy from oil. In statement entitled: “Stop the hoopla over Buhari’s health, allow the president to do his job as he deems fit”, the respected political leader, said much had changed since Buhari took over the reins of governance two years ago. “Nigeria is a place of numerous challenges and the home of vast human potentials. Our greatest challenge has always been how to best direct our vast potentials so that we overcome the challenges that plague us. “This cardinal challenge is why the APC was formed and why the party presented then General Muhammadu Buhari as its standard bearer. The people rightly chose him as their president, believing he was the best person to make Nigeria into a better nation. “His electoral victory was historic. More importantly, like most Nigerians, I believed his presidency represented a historic mission to right many of our nation’s wrongs. I still believe so. “The previous administration treated Boko Haram softly, appearing to view the terrorists as part of their political equation rather than a lethal threat to national security. President Buhari has gone after Boko Haram without condition and without fear. He has pushed them back, saving lives and giving northern Nigeria a chance to breathe again the air of peace and normalcy. “My recent visit to Borno State to inaugurate projects opened my eyes to the progress President Buhari has made in the anti-terror war. An enabling environment has been created for Governor Kashim Shettima who has taken advantage of the peaceful space to initiate laudable projects, such as the provision of housing for and rehabilitation of Boko Haram victims.